Vietnamese Holidays and Performances and Events - Oh, My! Throughout the year there are many events celebrated at the school in Vietnam where I teach English and by all of the country. As a latecomer, the first one I experienced was Teachers' Day. Yes, they actually celebrate this holiday and in a big way. In the U.S., I was simply given a certificate to "reward" me for my hard work, but here in Vietnam, Wellspring went so far as to give us the day off! The students showered us with gifts and parties all week long, the school put on a big party and performance for us on the eve of Teachers' Day, and then we spent the day off enjoying a nice lunch of Korean BBQ, karaoke, bowling and then dinner on the famous "chicken street." The week left all the teachers feeling appreciated and honored. 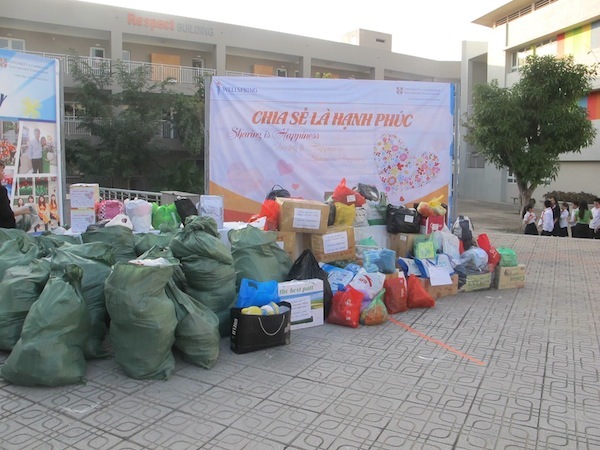 Vietnam also celebrates International Women's Day, which includes a gift from the parents and a women's football (soccer) match with the many departments of the school facing off. The level of celebration for this holiday was also surprising to me. And then there are the various performances, charity days and lunchtime weddings to attend. Traditional Vietnamese weddings are held at a date and time determined by a fortune teller, which means you could be attending a wedding at 11:00 am on a Tuesday as I did just this week. There are many celebrations involved in a traditional wedding, but non-family-member guests will only be invited to the reception and the engagement party, if you are close with the bride or groom. You eat, drink, and of course, take loads of pictures. So far this year, I have traveled on charity trips for Christmas and the Lunar New Year to watch the kids perform and bring gifts to older adult and children's homes. 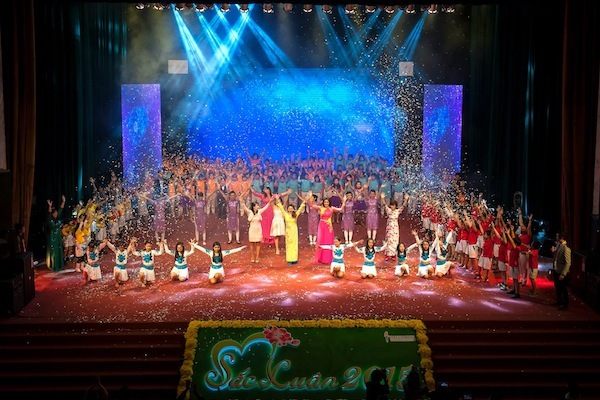 The primary school puts on a huge performance at a local Hanoi concert hall, and each primary grade is finishing up its Little Stars Space academic and dance competitions, for which I had the pleasure of emceeing during the fourth grade English portion. The school year is never short on exciting events and days to celebrate.